It depends on what are you looking for yourself and your family. Please read the statements below carefully. I need an immediate solution. I want to include my whole family. I want a residence permit in the European Union. I want to travel in Europe easily. I want to invest in safe and profitable properties in a prospering country. 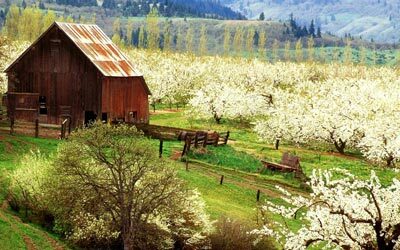 I am looking for a residency without the obligation to live there. I need a permanent solution. If you agree with most of the statements — Cyprus Residency Programme is the right for you. Cyprus is charming, Cyprus is beautiful. 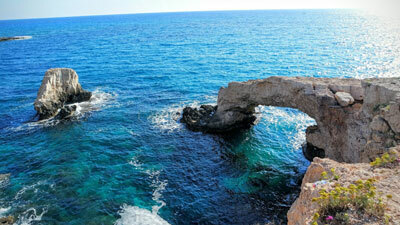 Cyprus is an ideal place for you and your family. The Cyprus Government now offers Cyprus residency visa to non-EU nationals who are willing to invest in Cyprus real estates. The Minister of Interior of Cyprus has recently introduced a significantly improved and also quick procedure for providing permanent residence visa. According to the new framework, all applications will be reviewed in a positive light; applicants meeting the neccessary criteria will surely receive their permanent residence permit. Cyprus permanent residency gives you the right to travel within the EU and it is also your first step towards obtaining Cyprus citizenship. Cyprus has a worldwide reputation as a place for international businesses. The favourable tax regime and the geographical position, combined with the highest quality of services are the key factors for its popularity. In pursuance of the provisions of Regulation 6 (2) of the Aliens and Immigration Regulations, Cyprus grants Non-EU nationals the right to permanently reside in Cyprus with no renewal requirements. The process is based on a set eligibility criteria ensuring that the Permanent Residency status is only granted to reputable individuals. You get your permanent residence permit within two months. Cyprus will be soon part of the Schengen zone of Europe allowing to move freely. At the moment it is very easy to receive a Cyprus Schengen visa if you have a Cyprus PR, the whole process takes only 30 minutes, and the visa is valid for up to 2 years. Your minor children, your spouse and also your dependent children between 18-25, in addition your parents can also be included. The vast majority of applicant are approved. Your investment into Cyprian properties is highly profitable, and you may gain a considerable profit in every year. You are not required to live on the island prior or during the application, or even after residency has been granted. However, you must visit Cyprus for biometric identification and at least once every 2 years. Cyprus offers a high level of life with access to reputable British schools, medical facilities and a highly favourable tax system. Cyprus enjoys a very low crime rate that is only about 10% of the average rate of European countries. 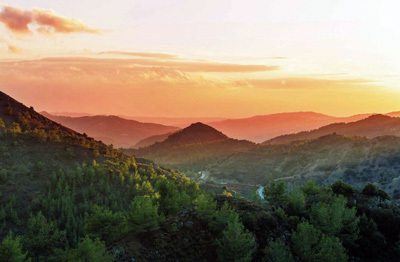 Cyprus tourism is a leading industry. How to obtain permanent residency in Cyprus? Purchase a residential property or properties of a total value of €300,000 (excl. VAT). The purchases must be ‘first-time’ sales meaning that they are to be bought for the first time from a property development company. Prove an annual income of €30,000 derived from abroad, increased by €5,000 for each dependent person. Deposit a minimum of €30,000 increased by €5,000 for each dependent person, in a 3-year Fixed Deposit Account. Declare that you do not intend to be employed in Cyprus. The market value of Cyprus properties has shown a steady upward movement over the years, especially beach front properties, have shown a considerable appreciation. 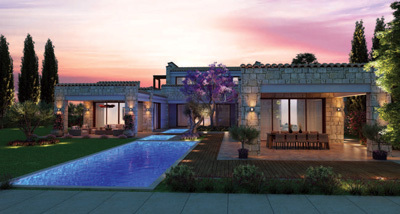 Cyprus property is believed to offer good value for money and the island’s increasing popularity by the international market further supports this. We offer you a wide variety of new properties which also makes you eligible to acquire a Cyprus residency visa. Cyprus is an ideal destination to get permanent residence in an EU country. It is simple and fast.